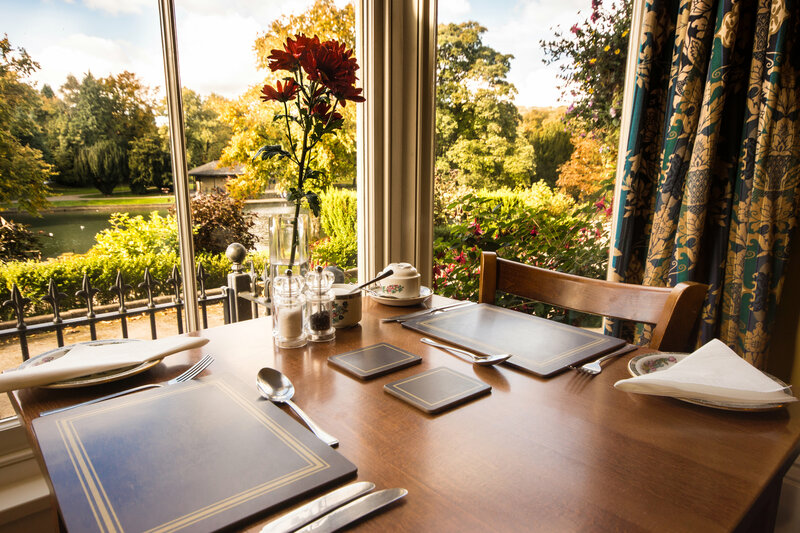 The Roseleigh is situated close to the centre of Buxton, overlooking the Pavilion Gardens. 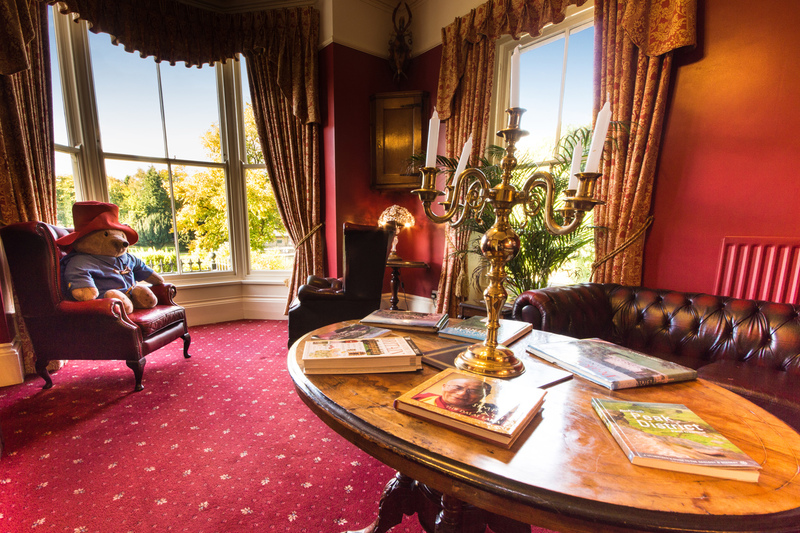 It is less than 5 minutes walk to Buxton Opera House and the centre of the town and is ideally located for visits to Buxton Festival and other cultural events or for exploring the Peak District and surrounding countryside. 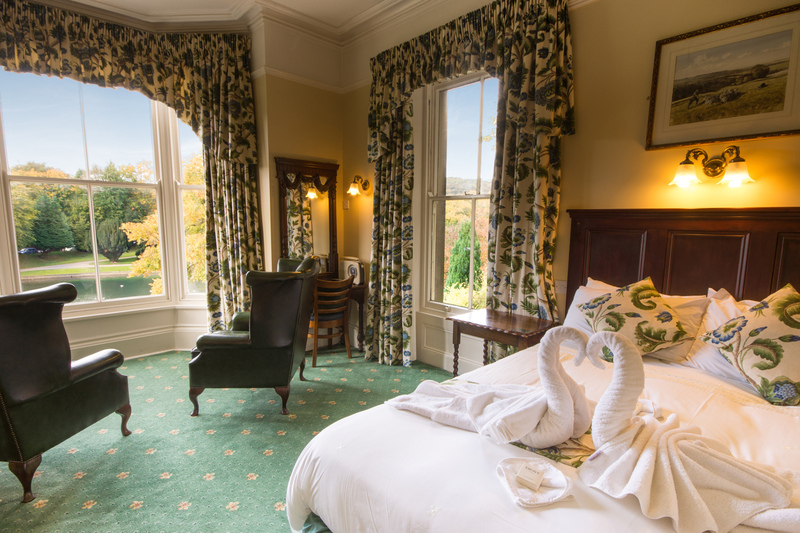 Several of our bedrooms have fine views across the Pavilion Gardens. For relaxation in the evening there is a comfortable lounge with views over the lake where guests can read or plan their next day’s itinerary. The lounge has a large collection of travel guides, maps, history and lifestyle books available to peruse. The public lounge is available from 8.00am to 10.00pm daily. Up to nine spaces (subject to the way cars are parked) are available to the side and rear of the Roseleigh on a first come /first served basis (please note that we cannot reserve specific spaces) – parking is prohibited in front of the property for safety and access reasons. Additional parking is available nearby. 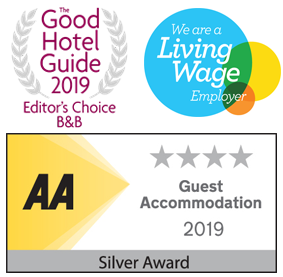 Our bedrooms are well furnished and decorated in a clean and comfortable style sympathetic to the Victorian era of the building. All rooms have tea and coffee making facilities, hairdryer, and Free View TV. All double and twin rooms are en-suite. There are two single rooms each with their own private bathroom. We select as many items as possible from local producers to give you a true taste of the Peak District. Choose from a wide selection of teas, coffees and infusions.